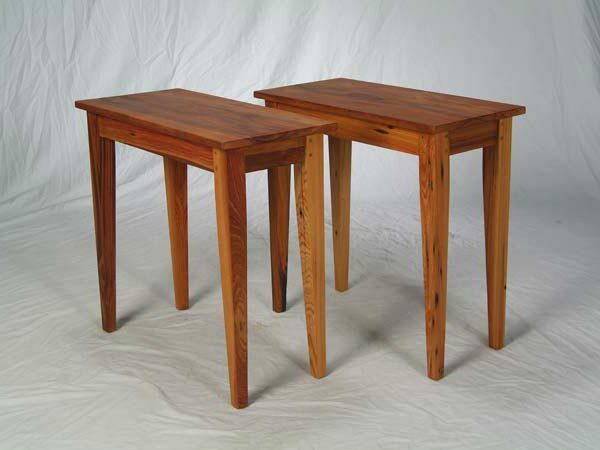 This pair of matching end tables is made from some old wide boards that were on the interior ceiling of an old storage building near Kaplan, Louisiana. Excellent as bedside tables or in your family room. Custom sizes are available.